The time it takes to produce a website depends on the size and complexity of your site. A basic 5-page website typically takes around 2-7 days while large e-Commerce sites can take up to 30 -40 days from beginning to end. WHAT IS A PAGE DESIGN? Web design itself refers to the process of creating a web page appearance and to the choice of a right color scheme, page layout, fonts and more. Every single web page in a website has different content, but all the pages are using a similar graphic design. Advertising Solutions makes use of website templates, which contain all the basic elements of web design-the website CSS style, buttons, backgrounds, borders and various graphic elements like hover images, bullets and header banners. When the website template is applied to the website, all the pages assume its appearance, using the same styles, background and other graphical elements. But most of the pages in a website have their own design elements. This is needed because every page has to present different content, and the basic website style is not fully applicable for all the web pages. For example, designing a contact form will sometimes require a custom layout and design elements with which to handle the form fields, buttons, drop-down menus, etc. All these styles, layouts, images, etc. are often not applicable for the other website pages. So, the contact page uses the basic website template for the menus, backgrounds, header images, etc. but also has its own web page design, including the contact form design itself and all the other elements specific for that page. Most small businesses only require up to 4 pages to be designed, for example; Home, About us, Services and Contact us. We do not do cheap website design, we design quality websites at affordable prices and take care in making sure that each website design effectively communicates the clients brand and projects a professional image. Our website design company uses modern web design practices and technologies, our sites are optimized to render beautifully on desktop and mobile devices. Our website design packages start at R2,600.00 for a basic 5-page website which includes Hosting 10 POp email adresses FTP accessand also includes free.co.za domain. Pricing for other services and functionality are outlined separately to help you determine and control the amount of your investment. We also provide our clients with a detailed estimate before any work begins. Please contact us if you are unsure which package to choose. Our design team will collect the information from you and give you an estimate on your requirements. All packages can be tailored to your needs. WE MOTIVATE YOUR USERS TO RETURN TO YOUR SITE AND PURCHASE SERVICES/PRODUCTS. Dockside Internet Web Design is a website design, hosting and SEO company situated in Boksburg, Gauteng. For 18 years, we have worked with businesses and individuals in Gauteng and nationwide to create outstanding websites at affordable prices. Every website we design uses responsive design, to ensure that our work looks great on every device. We take pride in our fast turnaround time and one-on-one communication with our customers. We guarantee you will be satisfied with our work. Your website is important we will get the job done right. Search engine optimization (SEO) is the process of affecting the online visibility of a website or a web page in a web search engine's unpaid results are ften referred to as "natural", "organic", or "earned" results. In general, the earlier (or higher ranked on the search results page), and more frequently a website appears in the search results list, the more visitors it will receive from the search engine's users; these visitors can then be converted into customers.At Dockside Internet we endevor to get you ranked as high a possible through use of appropriate Meta Tags etc.. When a search engine returns its search results, it gives you two types: organic and paid. Organic search results are the Web page listings that most closely match the users search query based on relevance. Also called …natural search results, ranking high in the organic results is what SEO is all about. Paid results are basically advertisements the Web site owners have paid to have their Web pages display for certain keywords, so these listings show up when someone runs a search query containing those keywords. On a search results page, you can tell paid results from organic ones because search engines set apart the paid listings, putting them above or to the right of the organic results, or giving them a shaded background, border lines, or other visual clues. The following figure shows the difference between paid listings and organic results.. Sometimes in a highly competative industry it pays to have paid high ranking with Google Adwords etc. 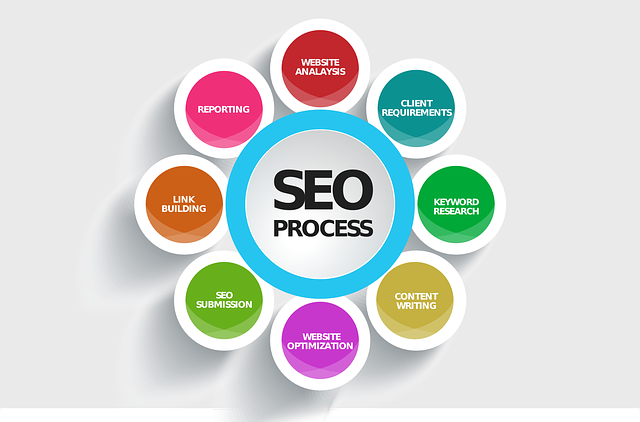 SEO stands for search engine optimization It is the process of getting traffic from them free organic editorial or natural search results on search engines. All major search engines such as Google, Bing and Yahoo have primary search results, where web pages and other content such as videos or local listings are shown and ranked based on what the search engine considers most relevant to users. Payment isnt involved, as it is with paid search ads. One of the core values behind our business is to provide top-notch customer service to our customers. Need something changed on your website? Give us a call or drop us a mail and your updates will be done in 24 hours. Most times website updates are completed within minutes of your request. No responsibility will be accepted for any changes made to sites unless maintenace contract is held by client.